Hiding graded items until a specific date will hide grades from students for that particular item. A hidden until date may be set if desired, to release grades after grading is completed. 2. 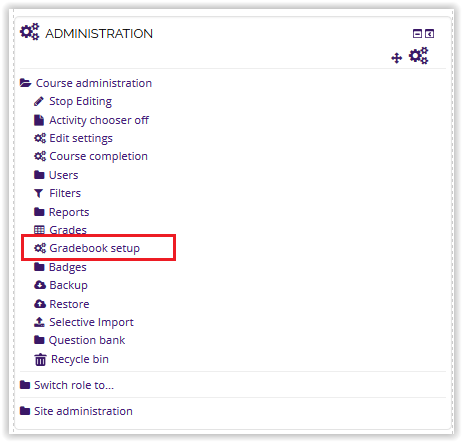 Under the Administration Block, select Gradebook Setup. 3. Next to the graded item, click the Edit under the Actions column. Then select Edit Settings from the drop down menu. 4. Locate Hidden Until under the Grade Item section. Check the box next to Enable, and put in your desired date. 5. Click Save Changes to apply. The item will now display with the "(hidden)" tag next to it.